London is the city where everything old meets everything new, in a dynamic blend of culture, tradition, industry and innovation. Like other major international cities, London is challenged by the task of balancing the demand for new infrastructure while also having limited available inner city land. Set that against the need to maintain and restore historically important architecture and you have an urban environment in need of some Disruptive Innovation. The new 67 acre development that has taken shape in King’s Cross, to the north of London’s city centre, is nothing short of extraordinary. Not only have the developers responded to the challenges with a perfect fusion of old and new, they have incorporated social conscience and sustainability, and used the unique history of the area to inform the appeal of the precinct through the repurposing of historic properties. Central Saint Martin’s School of Art and Design, the UK’s premiere fashion and arts college, forms the heart of the development which has become a hub for fashion, dining and culture. Companies like Google and Havas have been motivated by the convenience and lifestyle offerings to move their headquarters to the area. 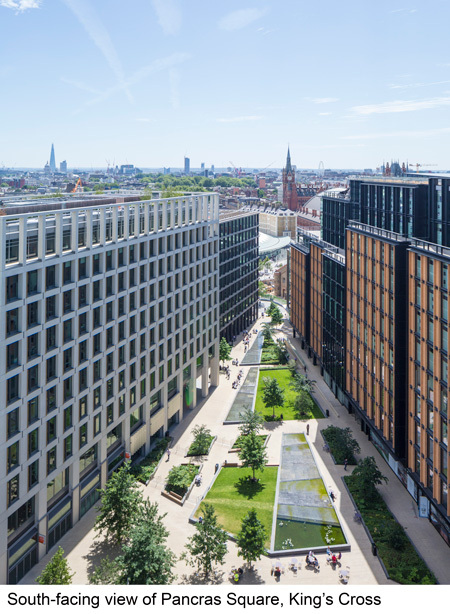 Join your fellow CoreNet Global Summit attendees on a guided site tour of King’s Cross and take in all that this development has accomplished. CoreNet Global is excited to offer Summit attendees the opportunity to tour the precinct and learn firsthand how the creative minds behind King’s Cross have raised the bar for responding to the challenges of urban development. The tour will be led by senior executives at Argent, the developer, as well as real estate agents DTZ who are acting on the scheme. On Friday, 18 September, at 8:30 sharp the tour bus will depart the hotel lobby and run for two hours returning to the hotel at 10:30. Be sure to stop by the CoreNet Global Summit Registration desk in advance to sign up. Please note that seating will be limited. The site tour promises to be an insightful case study of private sector-led redevelopment and regeneration.